Yes, it is that time of year but the Christmas and holiday season does not have a monopoly on handing out gifts. Birthdays, anniversaries and just-because all represent an opportune time to give someone a present. But regardless of the occasion finding the perfect gift often eludes the dedicated gift-giver who may want to please a fastidious receiver. 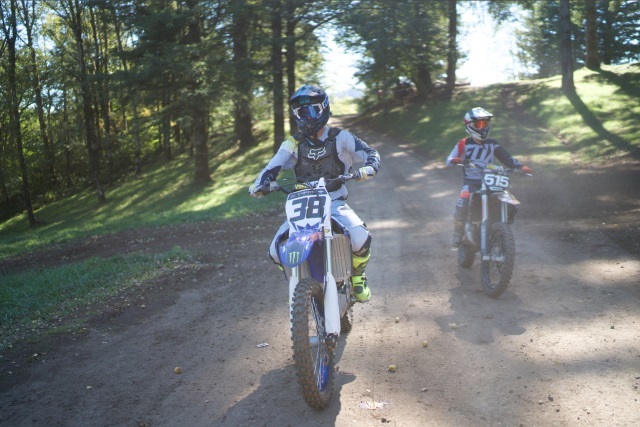 Thus, deciding on a gift to give a novice Motocross rider can leave us scratching our heads. We want to give something memorable but fully useful to help in their budding riding career. With numerous options and brands to choose from you have endless options for the youngster just starting out to the adult who found a new passion in life. 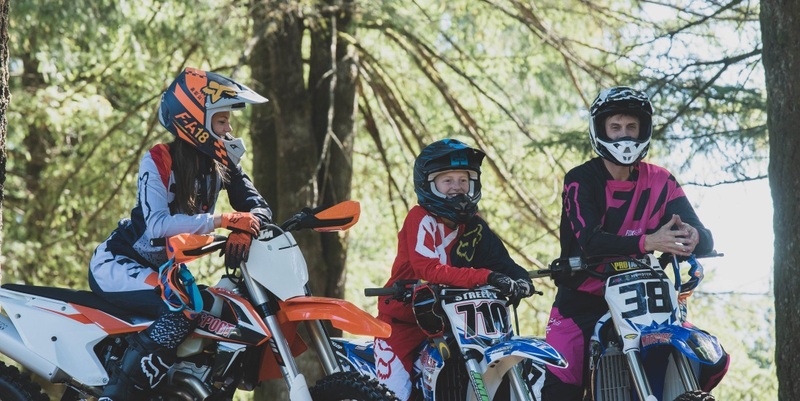 We want to help get you started so whether a dirt bike or ATV enthusiast we have laid out some Motocross gifts to consider and put a smile on a new rider's face. Hopefully, the target of your eventual gift has a helmet, if riding already, but often beginners borrow a helmet or grab what they can afford. Though more expensive models have optimum features you don't need to break the bank on a lid especially for someone just starting out. Leave the high-end models to the experienced riders taking jumps and blazing through whoops but you also don't want to go cheap. All Motocross helmets MotoSport sells have at least Department of Transportation (DOT) certification but the best helmet should fit well and sit comfortably. You can spend all the money in the world but a comfortable moderately priced helmet works far better than an expensive uncomfortable helmet. That said, helmets come in a rainbow of solid colors and cool graphics that compliment sturdy manufacturing and approved safety features. Removable liners, multiple air vents and aluminum visor hardware represent just a few of the things that make these helmets a perfect fit but also raise the price tag. So, first check out "Dirt Bike Helmet Buying Guide" or for a child read "Dirt Bike Helmets for Kids Buying Guide." Both articles discuss safety ratings and available features however a good fit should rank at the top of the list when selecting a helmet so if you plan to give a helmet as a gift, make sure you determine the appropriate size. We tell you how to measure in both those articles but we'll leave it up to you on getting it done without showing your cards. 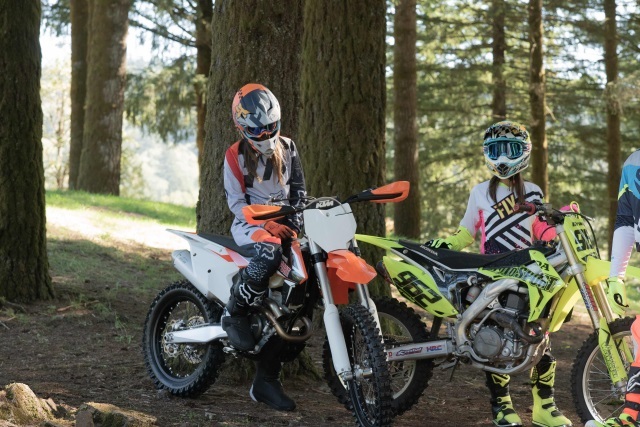 Next, check out "Top 10 Best Dirt Bike and ATV Helmets Under $200" for some excellent, moderately priced options and if none of those work we have complied the "Best Motocross Helmets." Moving down the body, a new rider needs a set of goggles, gloves, and boots. Like the helmet, if the rider you plan to shop for has borrowed or used a hand-me-down having their own set of protection that fits right and keeps them safe go a long way to keeping them safe compared to protection that simply "gets it done." Goggles keep vision clear and eyes free debris, gloves provide everything a beginning rider needs including enhanced grip control, increased flexibility, breathability and lightweight comfort. A well-constructed pair of gloves protects hands and knuckles while traversing through thickly wooded trails. Boots protect the feet and ankles in the event of a crash, when bar-banging with other riders or blazing through trails littered with trees and boulders. Finally, a chest protector not only helps in the event of a fall but protects from roost or the spray of dirt from the back wheel of other riders who twist the throttle. If you are as new to riding or Motocross as the person you want to buy a gift for you might be surprised that wearing jeans and a long sleeved shirt doesn't exactly cut-it. Yes, that works as a fall back however wearing the appropriate jersey and pants helps keep a rider cool and comfortable while allowing ample room for all the protective gear noted above. Our best sellers come in a pant, jersey and glove combo but you can choose individual riding pants, jerseys or gloves if the rider already has one or the other. Check out all of our combos as well as those on clearance, too and take your pick from Troy Lee Designs, Fly Racing, Seven, Shift and more who create the coolest designs in solid colors, multi colors or extreme graphics for kids, guys and gals. Finally, hydration packs come with the territory when off-roading. These backpacks filled with water fit comfortably without interfering with the rider's ability to handle rough terrain and add little weight. Select from any number of hydration packs from the top industry brands like Klim, EVS, OGIO and Leatt. Dirt bikes and ATVs require constant maintenance and upkeep. When the riding day ends cleaning comes shortly after. Put together a basket of useful gifts of cleaning supplies like a brush set, helmet cleaner, sponges, washes and detailers. You can go the maintenance route and grab a pair of work gloves, tools, a dirt bike stand or straps and cargo accessories. You have endless possibilities when it comes to gift giving for the Motocross rider in your life and if all else fails, grab a MotoSport gift certificate and let the rider in your life choose exactly what the need and want.